Alexa Chung | I love nice things! First, a little bit of background info on my hair. I`ve had a pixie cut for the last few years, and I really like how it looks on me. Obviously, this is not me, but the actress Emma Watson. My hair looked a lot like this. My hair is naturally wavy, and I like my hair at this length. (This is obviously not me either, but Alexa Chung.) I used to have healthy, wavy hair down below my shoulders, but years of dying it almost black, and then going blonde again took it`s toll on my hair. Now however, I think my hair is healthy enough for me to start growing it out again. I`m going to try to keep it healthy, and for this I`ve gotten a few things to help me on my way to long luscious locks. Good quality shampoo and conditioner. 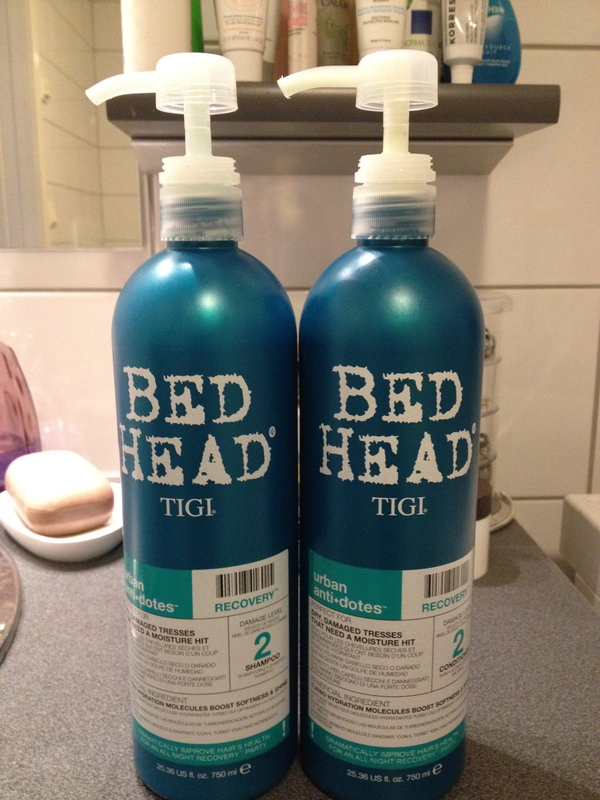 I bought the TIGI Bed Head Urban Antidotes Recovery Tween Shampoo & Conditioner Duo. My hairdresser recommended these for my hair, and I`ve actually used them up until recently. (The ones I had, ran out, and I bought shampoo and conditioner at my grocery store, from the brand Define. I could really tell the difference, and I ordered the ones from TIGI again. The Define shampoo and conditioner really made my hair feel heavy, greasy and not at all nice.) I got my TIGIs from feelunique.com. They smell really nice, and helps bring moisture back into hair that has been dyed and fried with blowdryers and straighteners. Plus they are HUUUUGE, (750ml) and last forever! Next on my shopping list was a good hair mask. 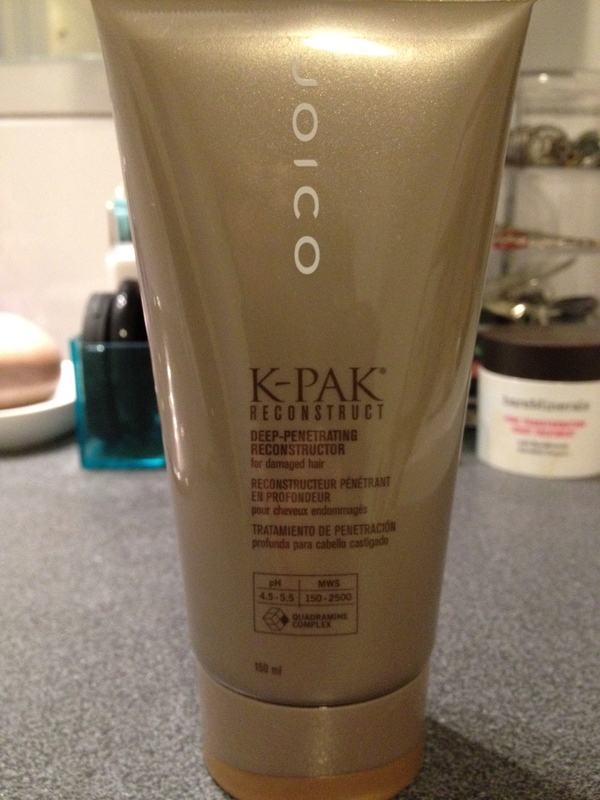 I had head so many good things about the Joico K-Pak Deep Penetrating Reconstructor Treatment for Damaged Hair. The bottle says to leave it on for 15 minutes, but I usually try to leave it on for as long as I can. I put it on towel-dried hair, and put a shower cap over it. Sometimes I put a towel around as well, just because it looks a bit better =) If you want you can sleep with it in over night, but I usually have all the time in the world when I get home from work, and find these hours are enough. My hair feels so nice and hydrated after using this, and I feel I`m doing something good for my hair. A big part of my healthy hair project is trying to cut down on the amount of heat I`m putting on it. I let it air dry almost every day now, and try to use my straighteners with caution. I have to admit I don`t really use a heat protectant on my hair, but I`ve ordered one online, and can`t wait to use it. It`s just stupid to fry my hair while trying to keep it healthy. I ordered the TIGI S-Factor Silky smooth Moisture Serum with Sunflower Seed Extracts, as my hairdresser recommended. Looking forward to trying it. It`s a serum that protects and moisturizes. Just what I need =) I found this as well on feelunique.com. I also realize I need to stay away from the hairdresser. Now, I try to just cut it at the back every once in a while to stop it from growing into a mullet, ala MacGyver. Other than that, I just leave it to grow. Patience, M. Patience. Diet. I try to eat more protein, and generally healthy. I don`t really eat a lot of meat, but I`ve amped up my egg intake, and hope that will help.